This gorgeous, Mediterranean-influenced residence is housed in the community of Ventura, California. Originally settled by European explorers, Ventura has gone through a series of cultural periods in its history. The residence reflects a variety of artistic styles, but focuses on maintaining its traditional ambience while incorporating contemporary accents. Vogue Window Fashion preserved the home's qualities by pairing sheer curtains with delicate trims and tassels. The goal was not to overshadow the natural beauty of this home; rather, Vogue sought to add to it. 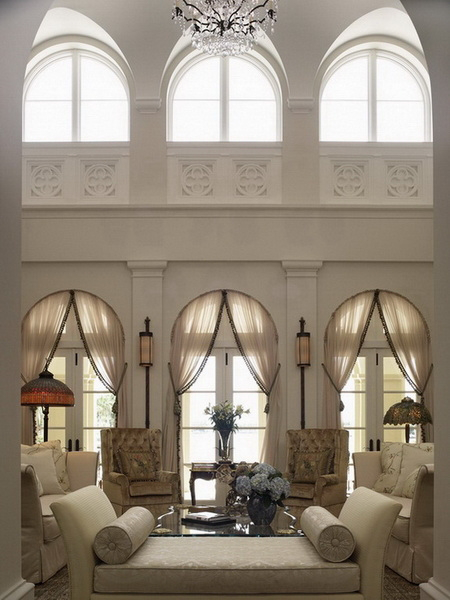 The careful styling of these window treatments added subtle elegance.